If devotion is to be properly practiced, there are some conditions to be fulfilled. God does not alter anyone's destiny. God is Omniscient and already knows what his children need and do not need. 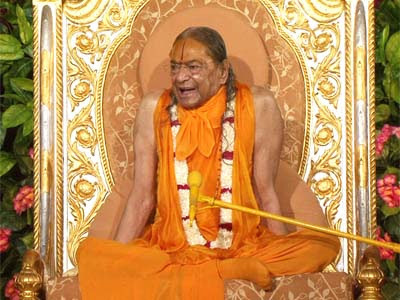 One who desires something from God will not be able to practice true devotion. Being ignorant, the devotee does not know what to ask for. Dasya Bhav: Servant-Master relationship. There are more rules and regulations and less privileges in this relationship. Sakhya Bhav: Friendly relationship. More closeness; less restrictions. Vatsalya Bhav: Parent-child relationship. Shri Krishna is my Son; I am His mother (or father). Far greater closeness; less restrictions. Madhurya Bhav: Lover-Beloved relationship. Shri Krishna is my Beloved. There are no restrictions in this relationship. Gopis give the dust of their feet to cure their Beloved Shri Krishna. Madhurya Bhav is the greatest, since it includes access to all other relationships. Devotion to Shri Krishna must be exclusive. The attachment of the mind must be reserved for God while worldly duties are being performed externally. The performance of any work requires involvement of the mind, not attachment of the mind. Devotion must be practiced daily. One must spend at least an hour with God every single day. During that time, one must attempt to focus the mind on God with the help of bhajans and keertans. Longing for God has to be developed, and as Kabir Das says, "No one can attain God without shedding tears of love for Him." When the mind runs away to the world, you must take Lord Krishna wherever the mind has gone. He must clearly answer the questions you have about God and the path leading to God. He must remove all the doubts you have regarding God. The Sadhana prescribed by him must bring about internal changes. Guru is Divinity in human form. One must trust the Guru to lead him to God.